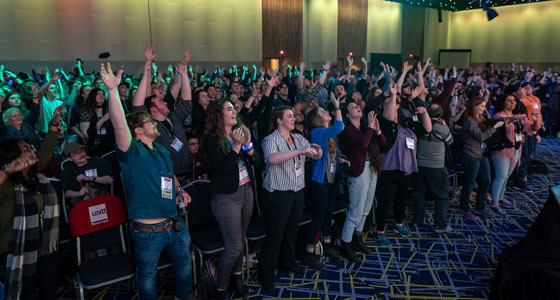 USITT19 has come to a close, but we’re still reeling from all of the fun we had in the Derby City! USITT would like to extend a massive thank you to those who joined us in Louisville. Your attendance aided in us having the largest Conference to date! USITT19 saw more than 6,000 attendees, 340 exhibitors, and 53,600 sq. ft. of rented Expo space in Louisville. That’s quite a record! During our time in Louisville, our board of directors announced the Setting the Next Stage Campaign in an effort to improve the financial liquidity, security, and stability of the Institute. More than $10,000 was raised during Conference week alone! Thank you to those who donated to the campaign and who will donate in the future. If you’d like to donate, please click here to make your one-time or recurring donation. We hope your time in Louisville was filled with learning, networking, and making a new friend or two. We look forward to seeing you in Houston, Tx, April 1-4, 2020, for another celebration of all things theatre and live entertainment. Still posting your photos from Conference? 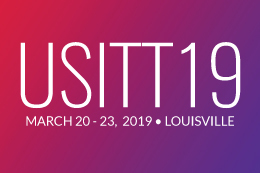 Make sure to tag USITT on social media and use the hashtag #USITT19.